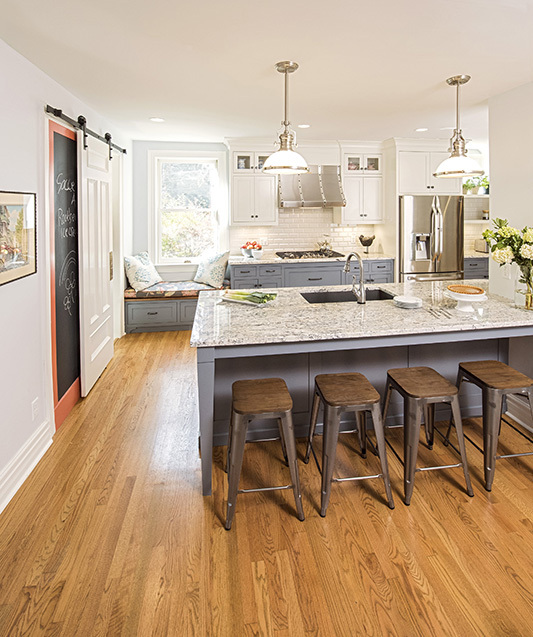 Built in 1885, this historic home in St. Paul’s Crocus Hill neighborhood had been separated into multiple apartments. 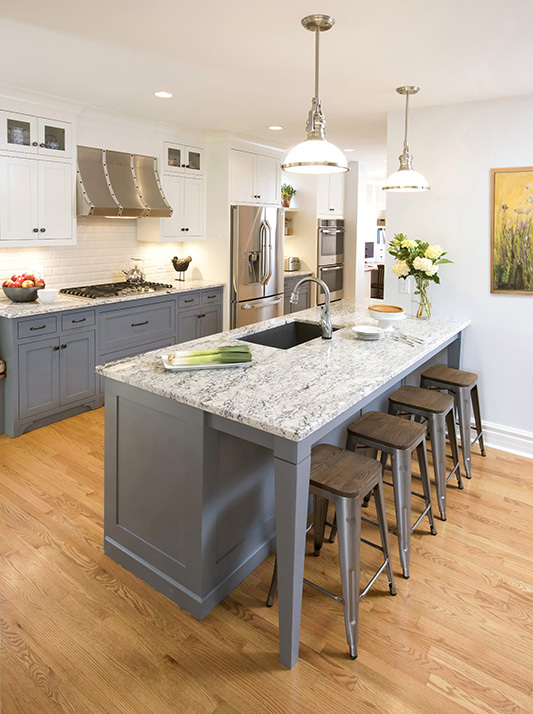 The previous owners converted it back into a single family home, but used inexpensive mixed materials, dark tones, and put little thought into the functionality of the kitchen. 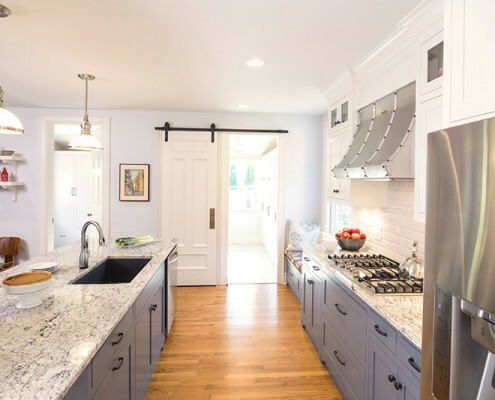 A single countertop ran along the exterior wall of the kitchen, with the sink, range and refrigerator lined up in a tidy row. 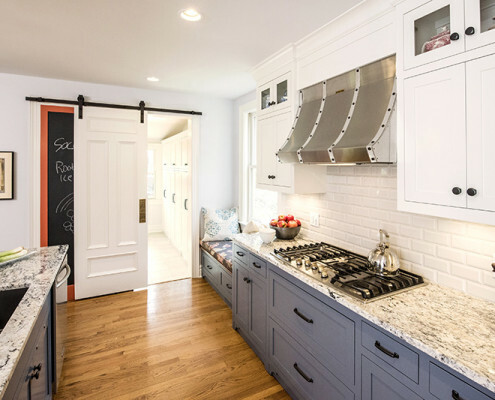 A narrow pantry with open shelving offered little storage, and laundry facilities in the back entry had no counter space. 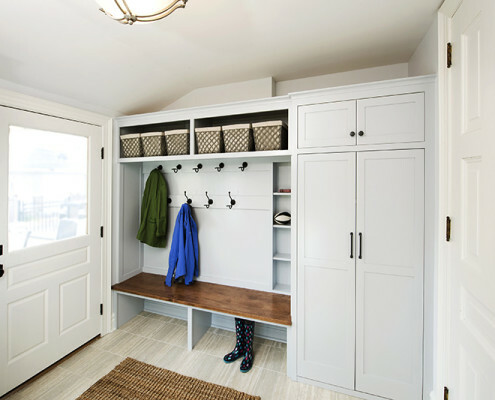 With no door to the back yard or garage and limited storage, this family of four (plus their dog) needed an upgrade. 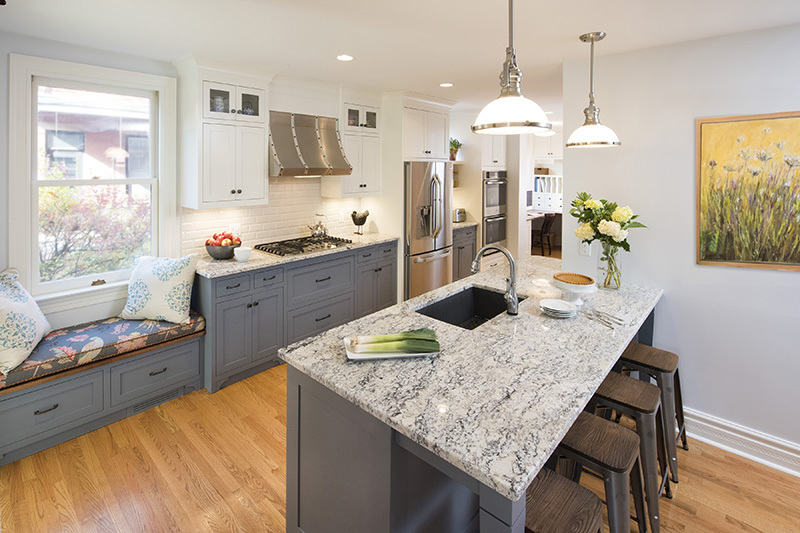 Expanding the kitchen into the side porch, we added an island with a sink and seating, improving the function of the galley kitchen. 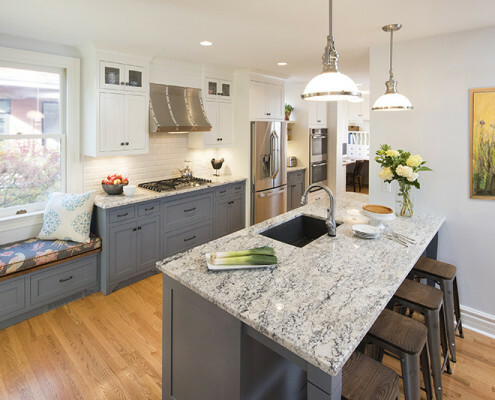 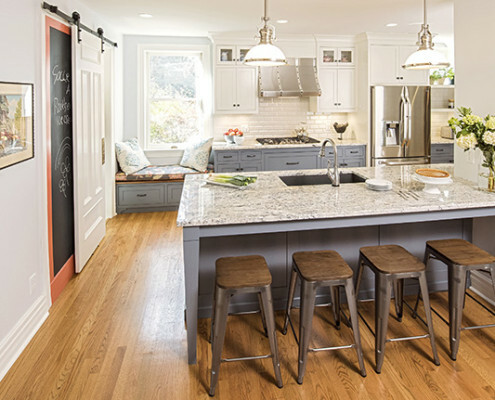 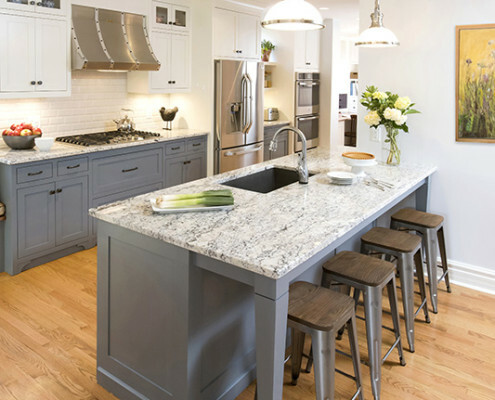 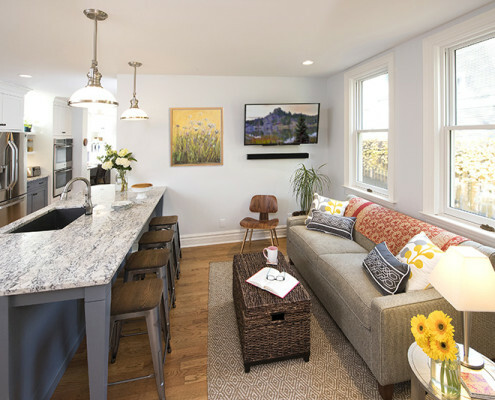 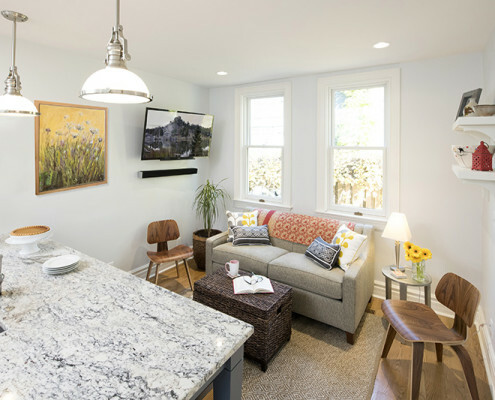 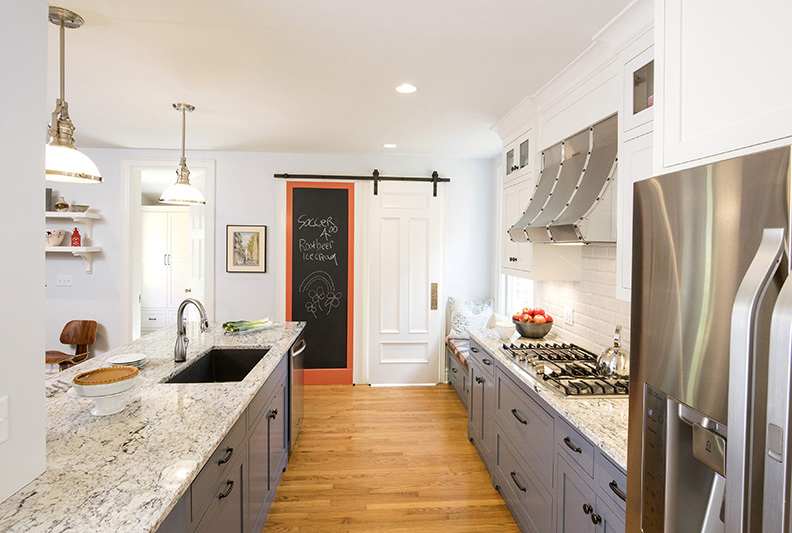 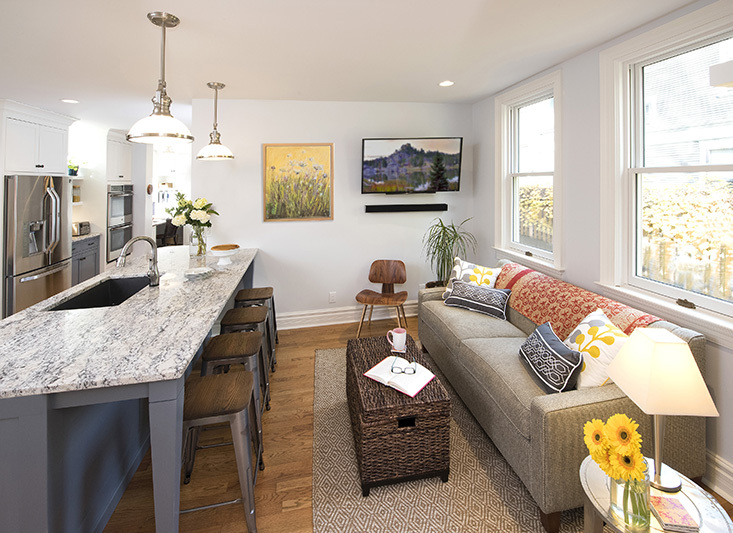 White granite countertops brighten the space and add unique character. 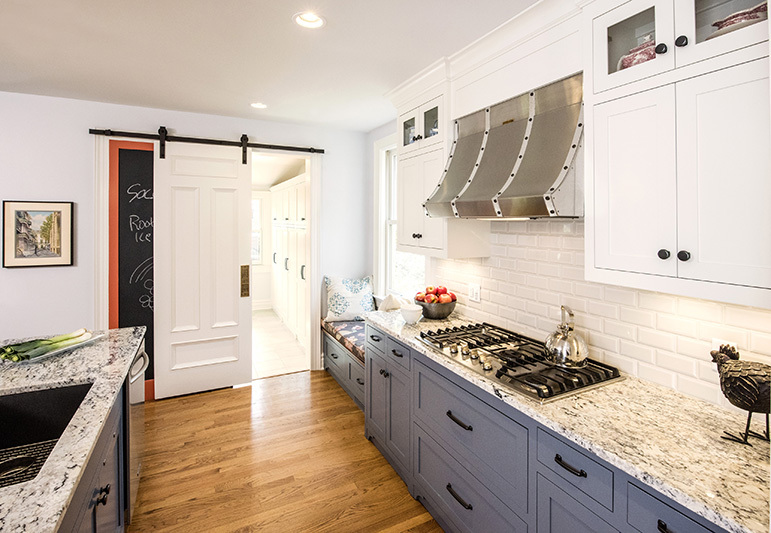 We refurbished the existing range hood and used two paint colors for cabinetry, adding interest and character. 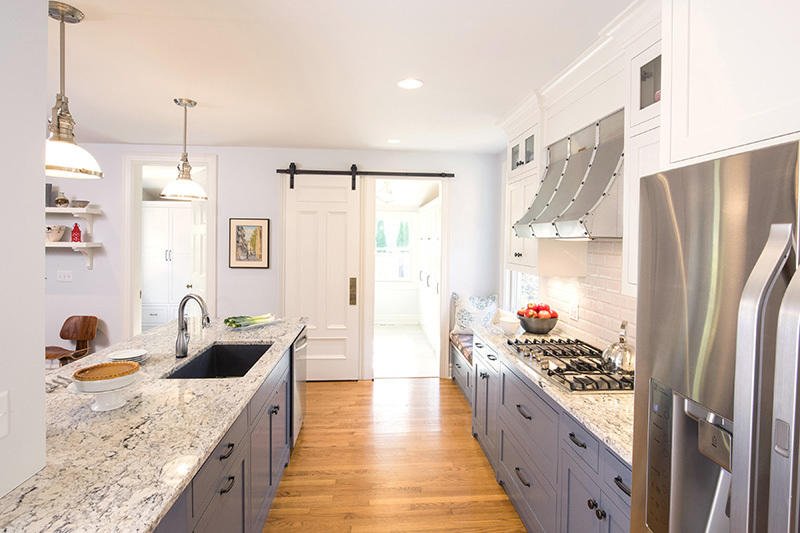 With modern conveniences and smart design for 2016 family living, the new shaker style kitchen now fits the character of the 1885 home. 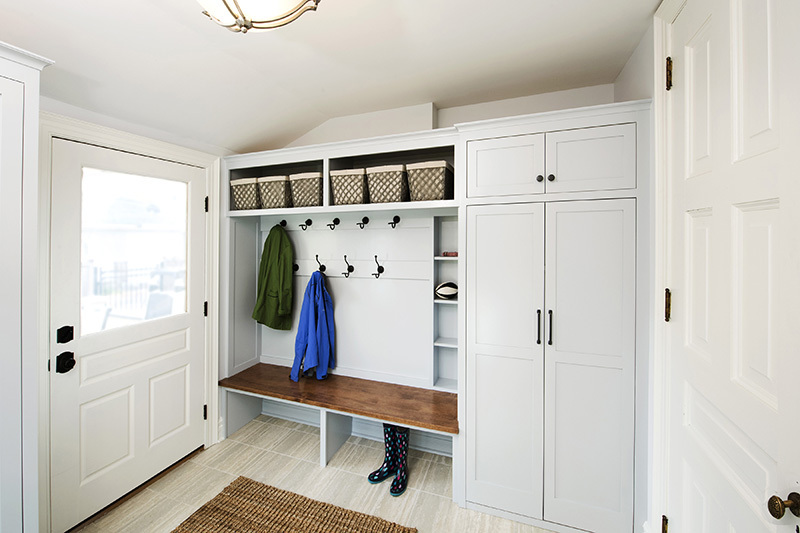 Just off the kitchen we created a laundry room with a wall of enclosed storage cabinets and a mudroom with a door and porch to the backyard. 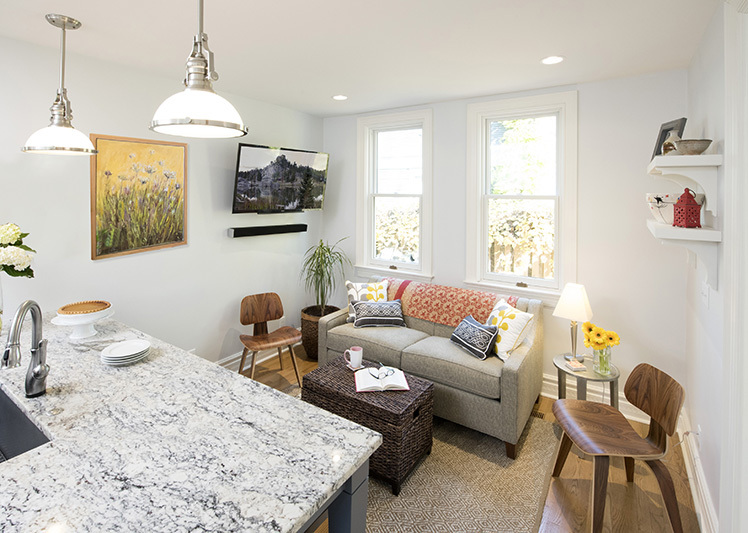 The additional space is used as a mini family room to watch TV and hang out together while cooking. 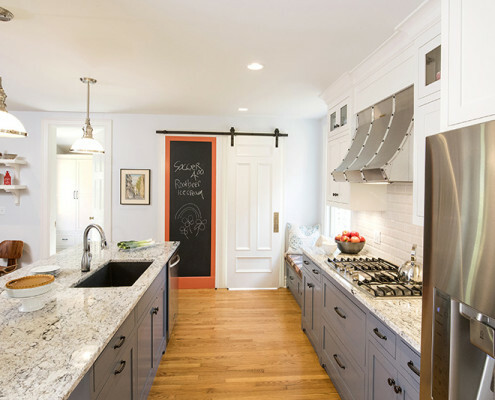 Behind a sliding barn door, a chalk board holds family notes and a built-in window bench offers cozy comfortable seating.